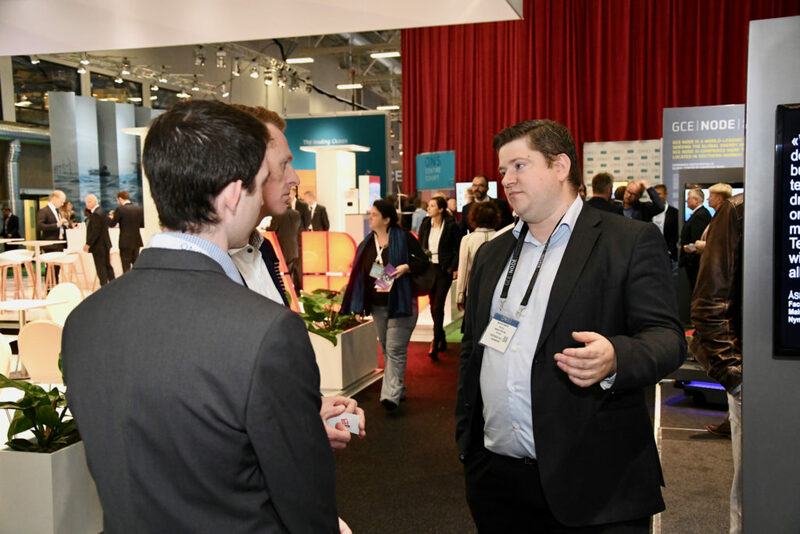 The GCE NODE stand at ONS 2018 received good feedback from the participating companies. Ten GCE NODE companies came home from oil expo ONS in Stavanger with new leads and possible sales. 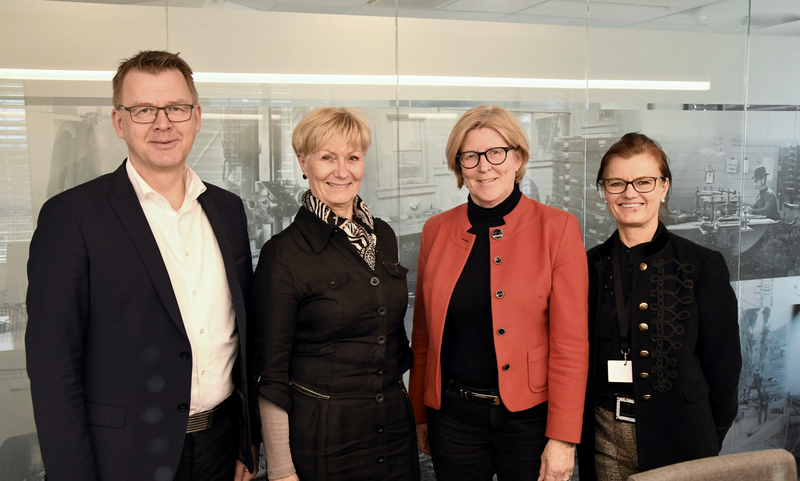 An evaluation report following GCE NODE’s joint stand at ONS in August, shows that for several NODE-companies their time in Stavanger was well spent. When asked to quantify the outcome of ONS 2018 in terms of leads and possible new contracts, 10 companies listed a total of almost 30 leads and contract possibilities. “This is of course the most important number in the evaluation report. ONS is all about visibility, networking and sales. 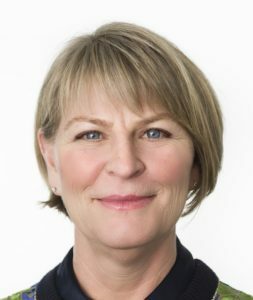 To learn that a majority of companies at the GCE NODE stand came away with an average of 3 leads is fantastic,” says Ann Marchioro, Project Manager at GCE NODE. The evaluation report also shows that the participating companies, 14 in total, were very pleased with the joint GCE NODE stand, which on average scored close to 5 out of 6 points. “There is always room for improvement, and we value the companies’ feedback. It will be studied in detail in order to improve the GCE NODE 2020 ONS stand,” says Marchioro. Two of the companies at the joint stand, Telaris PCS and Nymo, were among those that were very pleased by the ONS experience. 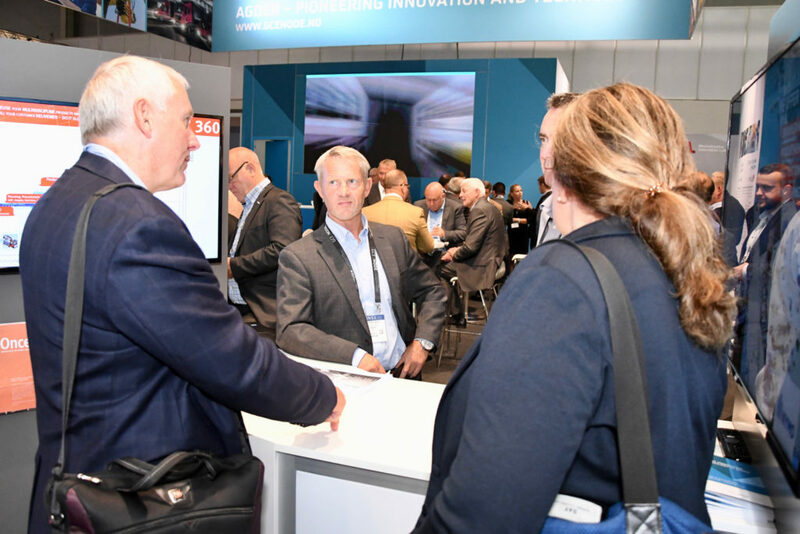 “The facilities and design of this year’s pavilion was excellent, and the combination of on-stand speaking engagements and a wide variety of members exhibiting, created a lot of positive buzz. 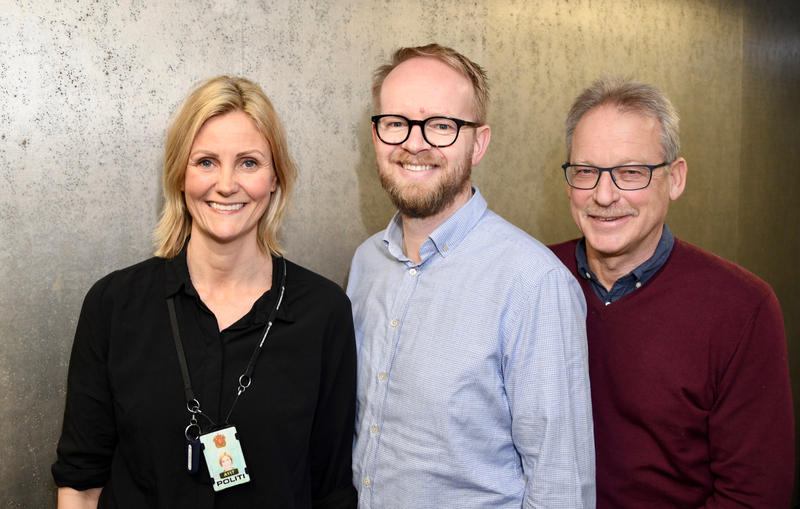 ONS as trade show brings together our existing and potential clients from around the world granting us access to markets outside of our existing marketing channels,” says Øyvind Selbek at Telaris. “The NODE stand provides a greater stage for us at ONS. As a medium-sized company at ONS, we would not have been able to draw the kind of attention that we drew at the NODE stand, if we had a separate stand for Nymo. We are very happy with the way NODE organized the stand. Except for the sound system, everything worked to perfection. And most importantly; the stand attracted a lot of people,” says Øyvind Boye, CEO at Nymo. 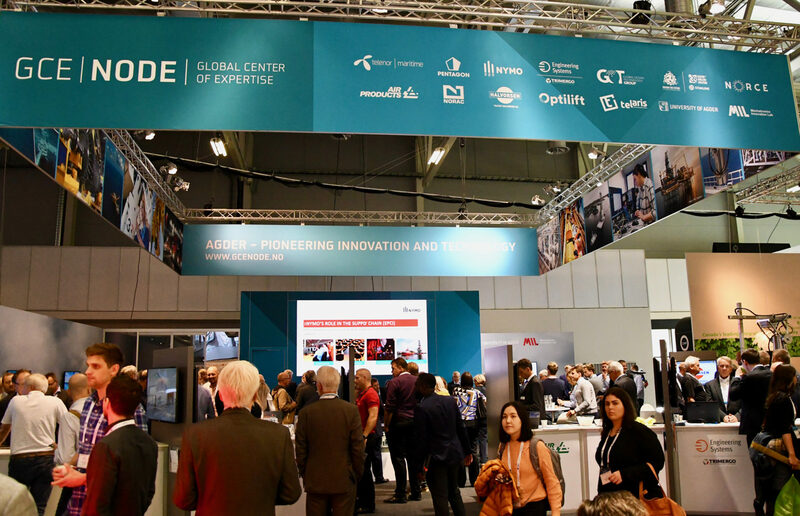 14 companies participated at the joint GCE NODE stand: Air Products, Castor Drilling/Stimline (Rigging the Future), Engineering Systems, Global Ocean Technology, IRIS (Ullrig og DrillWell)/NORCE, Mechatronics Innovation Lab, Norac, Nymo, Pentagon, Telaris, Telenor Maritime, Tratec Halvorsen, VOCA/Optilift and the University of Agder. Øyvind Selbæk, Telaris, at the GCE NODE ONS 2018 stand. 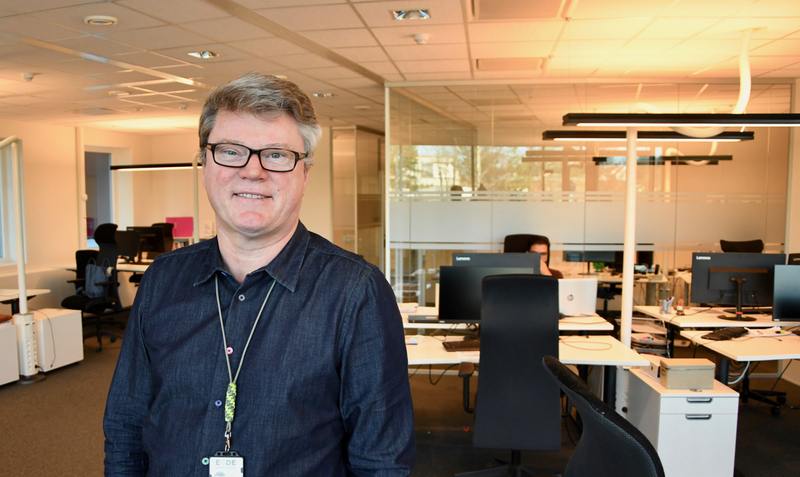 Øyvind Boye, Nymo, at the GCE NODE ONS 2018 stand.